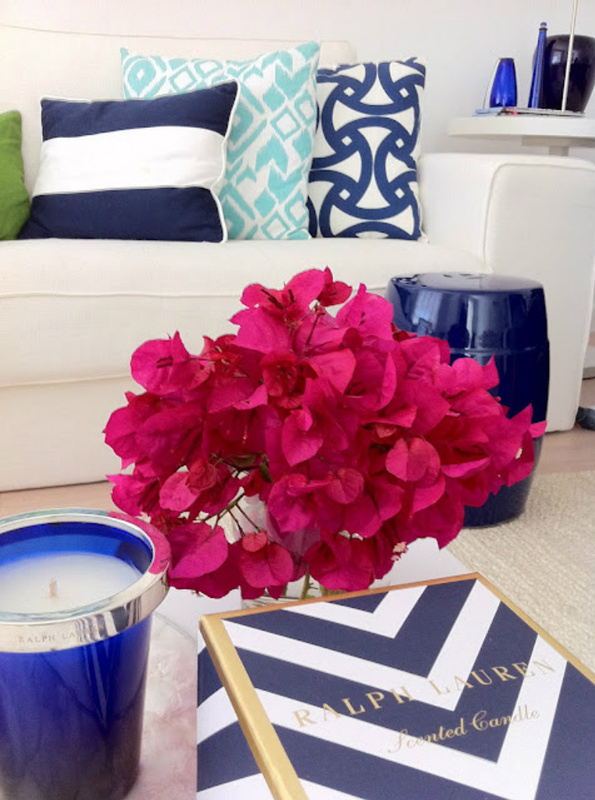 Interior Design is so much about layering, the art of finding the right mix of color, texture, and shape to create the depth and richness of a room. Layers can add dimensions and personality to a room. You just need to know the rules before you get started and try your hand at being a design extraordinaire. Keeping the patterns in the same color family allows you to layer multiple medium scale prints. 1. Color edit. Layering patterns involves four main elements: color, scale, shape, and texture. First up is color. Let's see how well your patterns play off each other, lay them all out and make sure the colors are cohesive. 2. Add contrast. Once you have your main color selection down, add a bit of contrast. An example would be if your color palette is blue throw a contrast of citrus yellow or hot pink. 3. Vary the scale. This is the most important rule of all. While color and shape are easier to get a grasp on, scale is a bit more complicated. There are three different sizes of scale: small, medium and large. 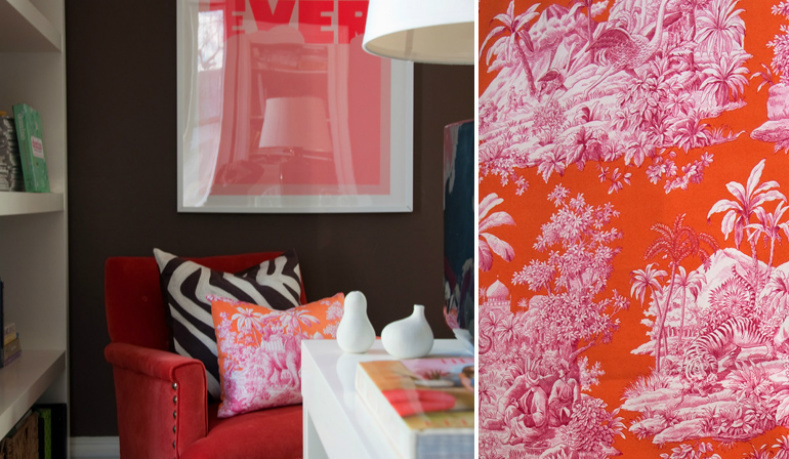 When mixing prints, try not to choose more than one of the same scale size. 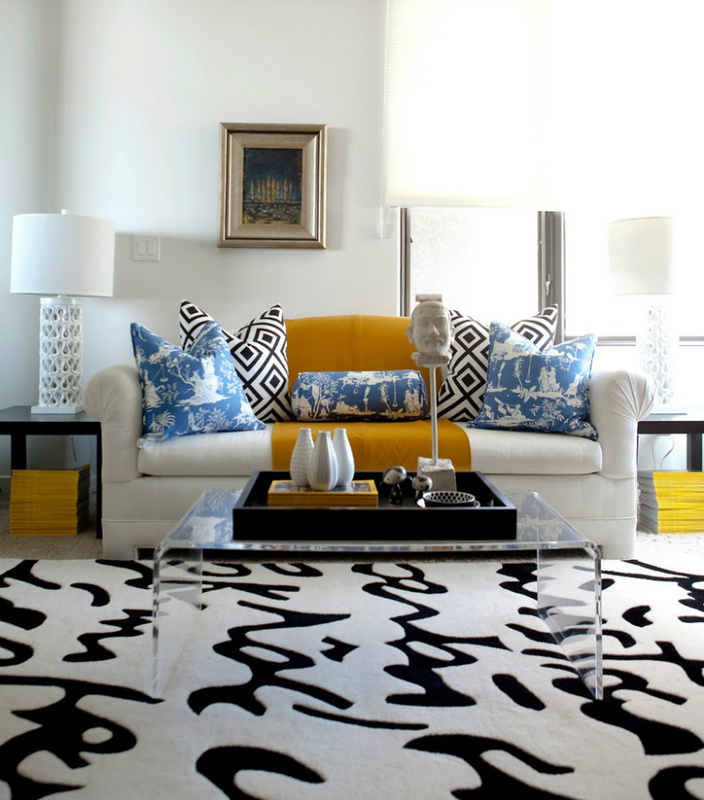 This is a great example of color contrast in pattern layering. 4. Exception to the scale rule. Medium-scale patterns are even more complicated since there's an exception to the rule. You can sometimes mix more than one fabric from the medium-scale category if one of them is solid and is more about texture than a true contrasting pattern. 5. Limit yourself to one large-scale fabric design. Close up, many large-scale patterns don't appear to fight; however, step back about six to eight feet and you'll notice that each is battling to take center stage. It's best to stick with the only one fabric from each scale category when it comes to large-scale prints. 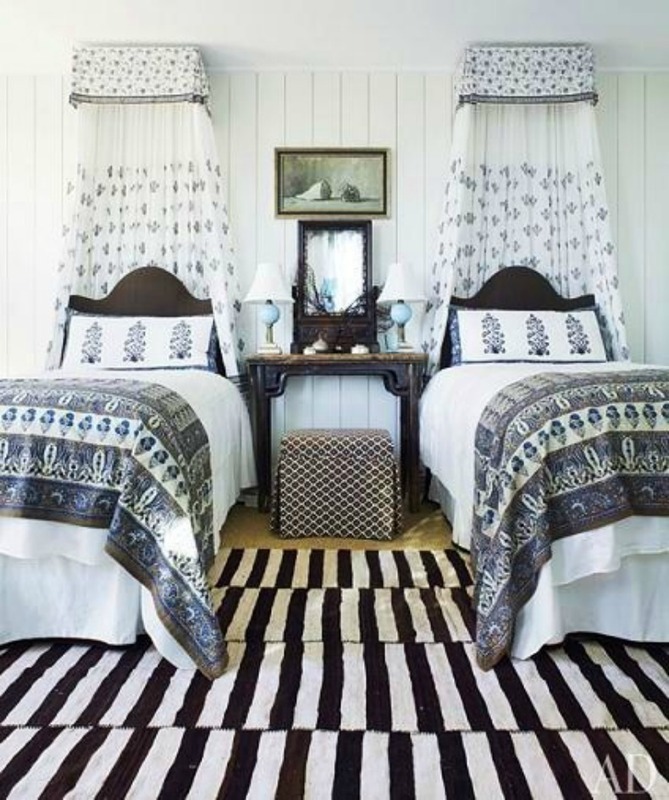 Brilliant example of contrast and pattern layering.